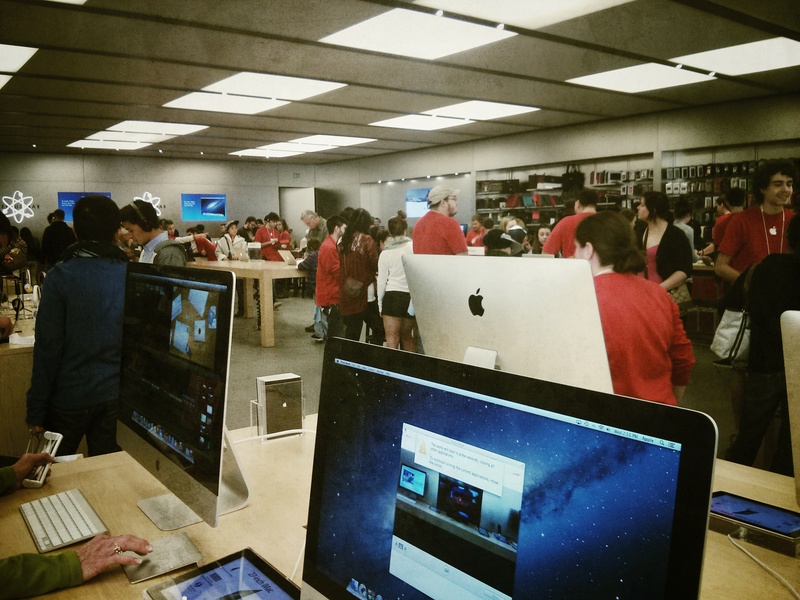 Apple sure knows how to keep its store stocked for the holidays. Ho, ho, ho, bah humbug. The shelves are bare, and you can get your must-have pretty thing some time next year. If you’re lucky. Let’s start with the delayed AirPods, which went on sale online last week. They arrived in stores on Monday, and whoosh were gone before the waiting line ended. My local shop had about 30 pairs. If you want them, first available retail pickup date is—cough, cough—February 8th. That is 2017. I had to confirm not 2018, because you never know with these dumbfounding delays. Straight-to-ship orders move your way in six weeks. Donald Trump will be president sooner! Perhaps you’re pining for one of those pricey MacBook Pros—you know, the ones with Touch Bar that no sane person knows what to do with. Apple will miss Christmas, but you can still beat Martin Luther King’s birthday, with orders made today delivering sometime between January 4-10 or available for in-store pickup on the tenth. God Bless America and Made in China! In journalism school, the profs insist that stories should be balanced. So out of fairness, I suppose we must highlight where Apple delivers something for Christmas. But that’s only because the shortages occurred months ago. The Jet Black iPhone 7 or 7 Plus are no longer back-ordered until the doomsday underway in Syfy series “Aftermath”. Order today, and Apple Store will deliver by Christmas Eve. The Apple faithful are so gullible about pricy, pretty things, the fruit-logo company should turn these product delays to marketing advantage by delivering the real thing rather than a figurative lump of coal in the Christmas stocking. Jony Ive can do yet another hypnotically boring video about Apple coal—the design, the texture, and why receiving one with festive recycled ribbon is a privilege. It’s a diamond in the making! He could explain how Apple uses ecologically-friendly techniques to mine its coal, and by receiving your lump, or even two, you’re doing your part for the environment. Because the coal in your stocking is one more chunk kept from the furnace spewing carbon emissions into the atmosphere that cause green house gases that overheat the planet, melt the icecaps, kill polar bears and penguins, and ensure that otherwise in five years your favorite beach boardwalk will be under the Atlantic or Pacific oceans! And Apple has Al Gore’s environmentally-friendly seal of approval. The former vice-president and climate change doomsayer is on the company’s board of directors. Hey, what timing! The followup to his global warming holocaust movie will debut during Sundance 2017. Please tell me that “A Follow-up to An Inconvenient Truth” is a working title, because it lacks for something. Assuming the post-election, shellshocked news media is right, and Trump is assembling a cabinet of climate-denying heathens, “An Even More Inconvenient Truth” would be more appropriate tittle. Hey, just suggesting. The inconvenient truth about Holiday 2016: Apple’s elves couldn’t make your overpriced toys fast enough. Have you tried Microsoft Store?